I have no vampire snacks tonight, but I did eat red meat for dinner. Totally counts, right? Hopefully I won't need the attitude adjustment tonight, though, because I'm told that the series gets better as it goes along. In tonight's installment, Victoria... Wait! What? They Second Becky'd us with Victoria! OK, well, tonight the part of Victoria will be played by Bryce Dallas Howard, who is nowhere near as hot as the other redhead who was playing her before. You're off to a rocky start, Eclipse. Anyway, she's putting together an army of newborn vampires to try and avenge the death of her mate James in the first movie. Because when you hear the word "newborn," the things that come to mind are unstoppable power and strength, right? While that's going on, Bella graduates high school and finds out that Jacob still has a thang for her. Then she's all, "I love you, but I love him more, but I'm gonna smooch on both of you. That cool?" Then the Cullens and werewolves form an uneasy alliance to defeat the vampire army, which they do, after a training montage. Then Bella and Edward decide on a date for their wedding, and prepare themselves to go tell Bella's dad. We got glimpses into the pasts of several of the vampires, which finally made them a little more interesting. You know the kinds of crushes that girls get on Edward and Jacob? As it turns out, one of my first idols also had a role in Eclipse - Peter Murphy of Bauhaus! Whoever was responsible for that bit of casting is a genius. Thanks to Dakota Fanning, Kristen Stewart was not the most wooden performer in this movie! Bella, we get it. You're ready to get vamped. Play a different record already, sister. As a father of a far better-looking than average daughter, I say this: Vampire or not, you better go ask dad for permission before you propose. Punk. And the thing that I like least... now that I've come this far, my OCD pretty much compels me to see the fourth movie when it comes out. Until that movie comes out, though, let's see how another vampire magnet would handle Edward's attentions. It's kind of long, but definitely worth watching. RATING - The best of the three so far, but still not good enough to score more than three engagement rings out of five. LESSON - This is less of a lesson for my marriage and more of a lesson that I will pass along to my sons. Boys, no woman is worth this much trouble. Move on and find yourself somebody with less drama. And ask her dad before you propose to her. I raised you better than that. I'm not a big West Side Story fan. I find it arch and annoying; maybe I just hate hate hate Romeo and Juliet. But I do love that they picked the perfect policemna name -- Officer Krupke. Such a minor character and instantly recognizable! Aw, I like West Side Story, but I have a big soft spot for musicals and I lurve Natalie Wood. The funny thing about that role is that I couldn't pick the actor who played it out of a lineup, but you're right, the name and character is immediately recognizable. By the way, I just Googled twilight krupke out of curiosity, and this page doesn't even make the first page of results. Musicals litter my favorite movies -- I love the hell out of Oliver! and Singing in the Rain... I think it's just the Romeo and Juliet story that grinds at me. I also like Natalie Wood. "They Second Becky'd us with Victoria!" 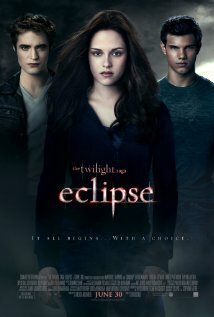 and I think all of the twilight saga movies have sucked - I really enjoyed the books though...but I'm a "tween" at heart. Thanks for reading, and for your comment! Your mom passed along your carnitas recipe about a week ago, and I'm eager to try it now. I also voted for you to win that photo contest! I talked to my sister this weekend, who feels the same as you do. It seems like the books spend a lot more time on the characters' "inner lives," something that's hard to show onscreen. I think that after all the hype, I was just expecting something grander in scale than a high school romance.